This article will show you how to duplicate a page in the eCMS. Click on the two page icon on the right side of the page to duplicate the page of your choice. Your page has been copied, but you need to change the page information. Click on the blue wrench to open the page settings. 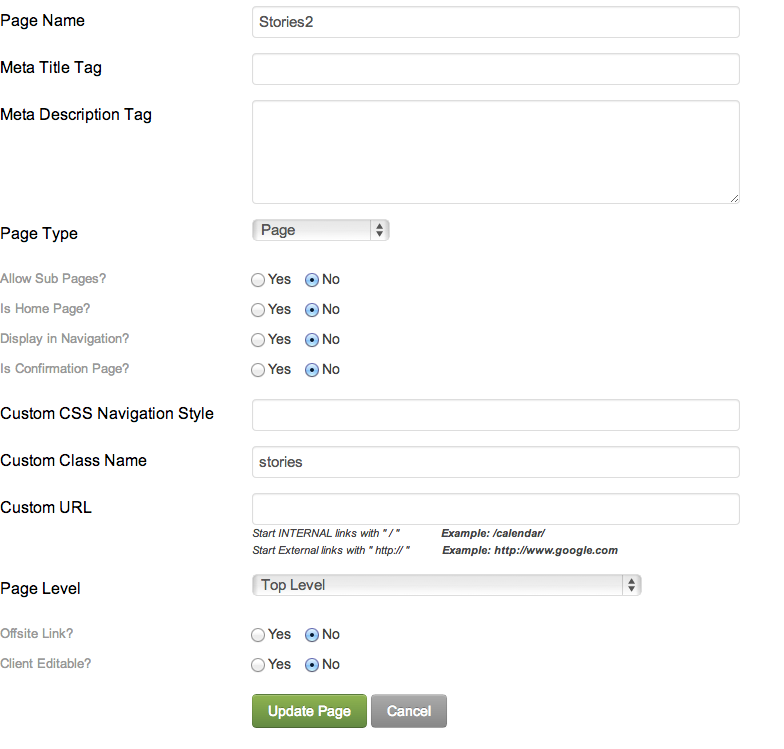 Here you can edit the Page Name, Meta Title Tag, Meta Description Tag etc. You can change where the page is located in the eCMS. So if you want it under a different nav item, you can select the drop down and change it from there. When you have changed all the information, just click the green Update Page button and you are done!